To Copyright or Not to Copyright? File this under: Just when you thought it was safe to use social media . . .
Two days ago, The Kansas City Star published an article entitled “Digital Era Puts Your Photos in Odd Places” by Judy L. Thomas, which describes the thorny issues of copyright protection in the modern era of photo sharing, file sharing, and social networking. The thrust of the article: Items you may not think of as needing copyright registration probably do. The article begins with the story of a bride who was shocked to discover one of her wedding photos had been used by the diocese in which she was married for an ad in a bridal magazine. The photo had been stored on the church’s computer, where the bride’s mother worked at the time of the wedding. The diocese justified its use of the photos because the bride had never filed for copyright protection of the photos. Copyrighting wedding photos? Who would think to do such a thing? And yet Thomas drives home the point that anything you publish (e.g., put on social media outlets such as Facebook and Twitter) may be used in ways you don’t want them to be used unless you file for federal copyright protection. Facebook Can Use My What?!? Facebook, Twitter, and other social media outlets offer writers an enormous avenue to reach prospective readers, network with other writers, and promote their work. But even these sites may stake claims to using whatever you post for their own purposes. Facebook’s “Statement of Rights and Responsibilities” (which you can access at the bottom of your FB homepage by clicking on “Terms”) specifies that, by using Facebook, you give the site license to use any intellectual property content you post, such as videos and photos—a license that ends only when you terminate your account (though backup copies of posted material may continue to exist, the site says). If you think it’s unlikely that Facebook would use your photos, artwork, or posts for its own ends, you’re probably right. However, the material we post online can wind up in the unlikeliest places. What if your child’s high school graduation photo shows up on a billboard? That really happened to a woman, according to her Ohio attorney quoted in the Star article. Copyright is widely misunderstood. Basically, it is a form of legal protection for “original works of authorship” created in “a tangible medium of expression,” according to the U.S. 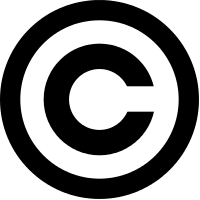 Copyright Office’s website. Furthermore, a work has copyright protection the moment you created it. But don’t rejoice just yet. In one of those legal-loophole type things, you need to actually register your work in order to sue for infringement, according to the site. The benefits for registering your work include having a public record of your registration and possible eligibility for statutory damages and attorney fees. Registering a copyright can be done online at the site above. Fees are $35 for a basic registration and $65 for a group of photographs. So, should you copyright everything you post on Facebook and Twitter? Probably not—unless you’re insanely wealthy and paranoid. But knowing your rights and making informed decisions can help you avoid the risk of that brilliant piece of art being used to promote tobacco-flavored cheesecake without your permission or compensation. Is “the District” in THE POWER CLUB Evil?